Zoom Zoom Zoom is known as one of the fastest yachts in her size range that is also stylish and graceful. She has an elegant and sophisticated interior design by the renowned Evan K Marshall. The yacht features a variety of spaces for dining and entertaining and her full-beam skylounge is a favorite among guests. 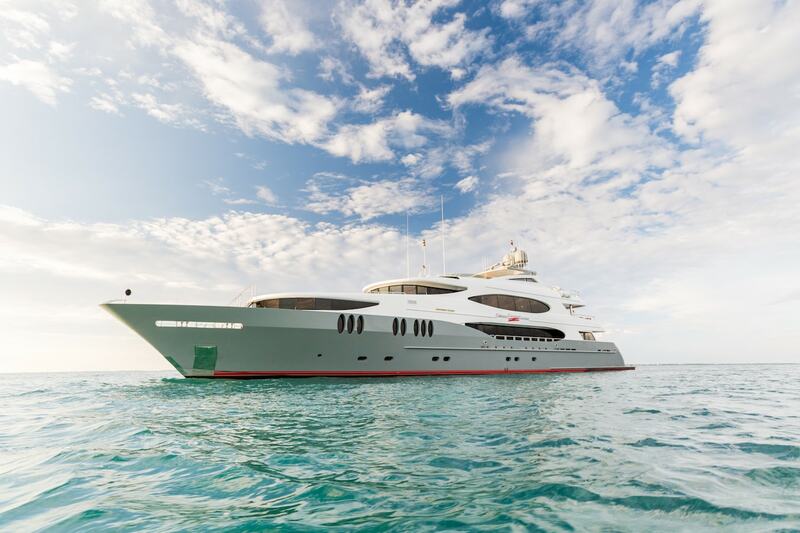 Zoom Zoom Zoom accommodates ten guests in five beautiful staterooms and boasts a bi-level master cabin. She also has impressive exterior spaces, ideal for lounging and relaxation, and an extensive selection of water toys. An impressive Yacht for Charter!